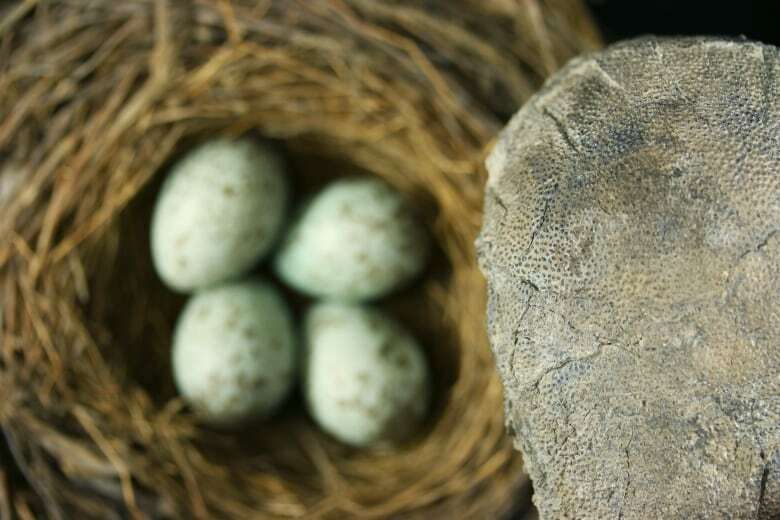 Some dinosaurs laid colored, speckled and spotted eggs boasting exquisite hues of blue and brown, scientists said on Thursday, in a discovery that scrambles the notion that such exceptional traits originated with birds. Some dinosaurs laid coloured, speckled and spotted eggs boasting exquisite hues of blue and brown, scientists said on Thursday, in a discovery that scrambles the notion that such exceptional traits originated with birds. An analysis of 12 fossilized dinosaur eggshells from Europe, Asia, North America and South America detected the same two pigments present in colourful birds eggs in a dinosaur group called eumaniraptorans, which includes well-known meat eaters like Velociraptor and the small feathered dinosaur ancestors of birds. "We discovered that egg colour is not a trait unique to our modern birds, but evolved in their non-avian dinosaur ancestors," said Yale University paleontologist Jasmina Wiemann, who led the study published in the journal Nature. "Our study fundamentally changes our understanding of egg colour evolution, and adds colour to dinosaur nests in the real 'Jurassic World'." 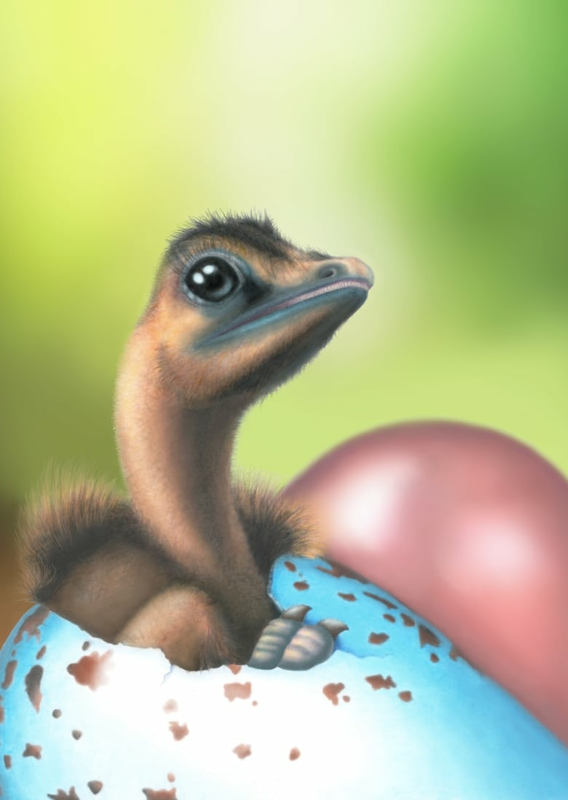 For example, the sickle-clawed predator Deinonychus had a blue egg with brown blotches and the bird-like Oviraptor, known for its toothless beak, had eggs that were dark blue. Birds evolved from eumaniraptoran dinosaurs in the Jurassic Period. The earliest-known bird, Archaeopteryx, lived about 150 million years ago in Germany. Eumaniraptorans, part of the larger theropod assemblage of two-legged meat-eating dinosaurs, generally were small and bird-like, covered in colourful plumage. They included predators up to 30 feet (nine meters) long and as small as a house cat, but did not include behemoths like Tyrannosaurus rex and Giganotosaurus. Egg colour provided an evolutionary advantage to dinosaurs that had exposed nests for their eggs, rather than burying them as alligators and turtles do, in part by providing camouflage to protect against egg-eating predators, the researchers said. All the other dinosaurs studied produced plain white eggs, indicating a single evolutionary origin of egg colour in eumaniraptoran dinosaurs that was passed on to their bird descendants. 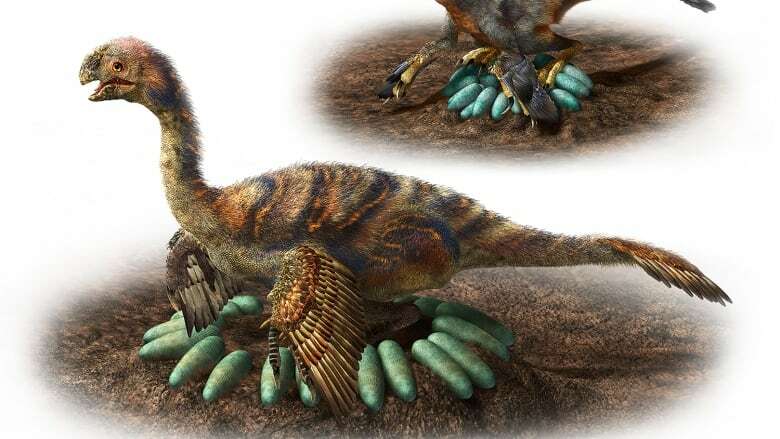 In the eumaniraptorans, the researchers found evidence of a blue-green pigment called biliverdin and a red-brown pigment called protoporphyrin IX structurally integrated into the crystal matrix of the eggshell, as they are with birds. "Some were uniformly coloured," said paleontologist and study co-author Mark Norell of the American Museum of Natural History in New York. "Some were spotted and speckled. It was just like in living birds. A robin's egg is uniformly blue, but a quail's is spotted and speckled." Other traits once assumed to have originated in birds, like feathers and wishbones, also were inherited from their dinosaur forebears, Norell said.